Welcome to my fitness hub! My name is Crystal Yukich and I am the Owner and Personal Trainer of C Y Fitness Matters an Ottawa based personal training business. I have been in the fitness industry since 2006 and I currently train my clients out “Love to Train” Fitness near Billings Bridge. I am also a Health Educator on the Montfort Academic Family Health Team where I share all of my fitness knowledge with patients who are ready and willing to make healthy lifestyle changes. I have been an athlete involved in many sports growing up. This passion for sport has followed me into my adult years and I continue to live a healthy and active lifestyle with my friends and family. I am also a proud wife and mom of 3 amazing little boys! Becoming a mom really changed my approach and my perspective to training this specific demographic. 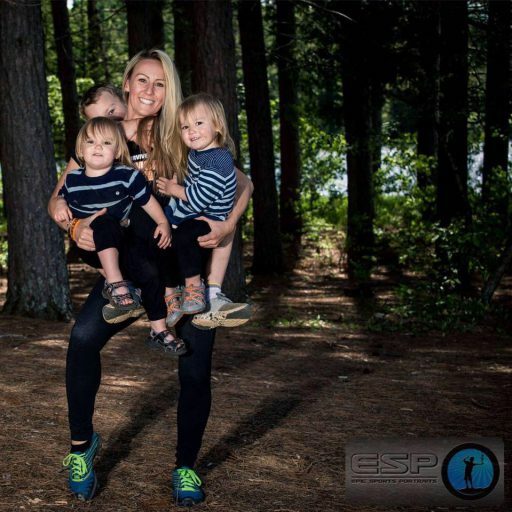 After my son was born the first goal I set for myself was to complete a fitness competition through Physique Canada in 2012, two years after my son was born. This goal was a personal challenge intended to set myself outside of my comfort zones and to accomplish something I thought wasn’t possible. Since then I have found so many ways to be active with my little ones and enjoy our time together to the fullest! I am proud to say that my oldest son joins me in many of my races and he has the drive for movement just as much as I do. Always remember, those little eyes are always watching and they admire mommy and daddy for the strength that we show through adversity. Be the best example possible for your little ones and help them cultivate a very healthy and happy future for both themselves as well as the next generation. ***To note I am continuously completing smal runs throughout the year. I believe in setting ongoing goals to help motivate myself maintain my fitness level.